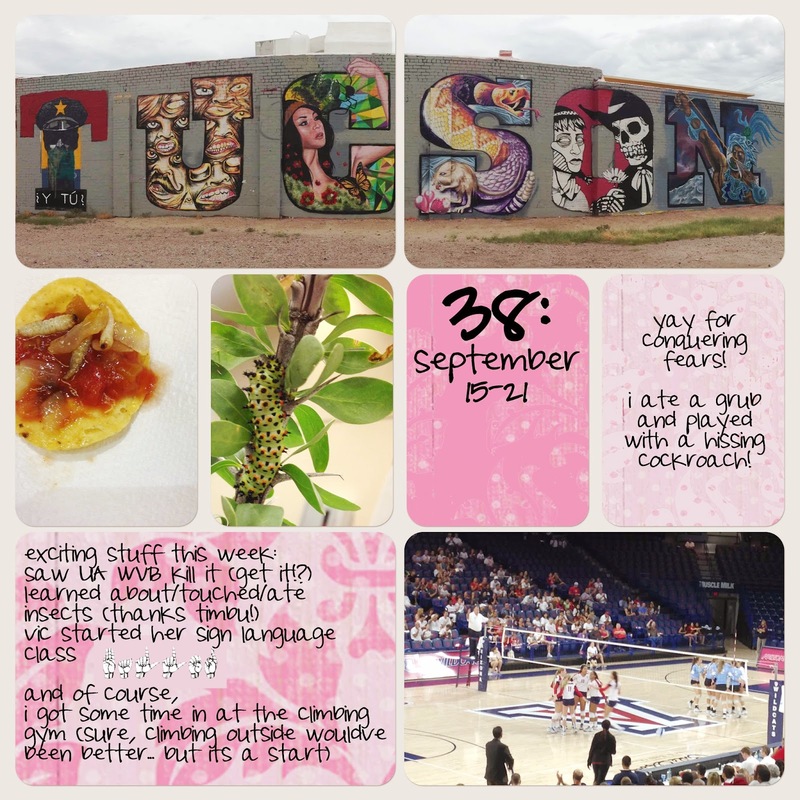 i scream for sunshine: 2014 -- week 38 of #projectlife -- eating insects! 2014 -- week 38 of #projectlife -- eating insects! it's dumb, but I'm kind of terrified of eating bugs. I know there are places all over the world where bugs are regularly eaten, but something in my brain goes wonky when I have to do it. I'll do it, you can't claim to be a fatty and not at least try what's put in front of you, but it's still a little yucky. luckily, I've had plenty of opportunities to try insects, and each time I've walked away a little less afraid and a little more appreciative of the deliciousness of our creepy crawly friends. ps. each fall the university of arizona hosts an insect festival on campus. it's an amazing opportunity to learn about caterpillars, scorpions, spiders, moths, and more. and it's a great family activity with tons of hands on exhibits, food demonstrations (made with real insects), and craft tables for kids. 2014 -- week 42 of #projectlife -- noche blanco! the sonoran desert at night!